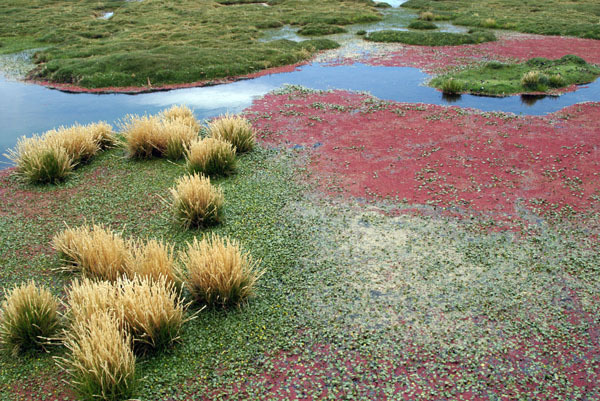 The Andean Altiplano is one of the biggest high mountain plateaus in the world, second only to Tibet's. It is surrounded by Andean ranges with enormous peaks of active volcanoes reaching up to more than 6,000m (20,000ft) above sea level and towering over the plateau, which itself lies at 4,000m (13,000ft) elevation. The air is thin at this altitude and the climate is arid, cold and windswept. 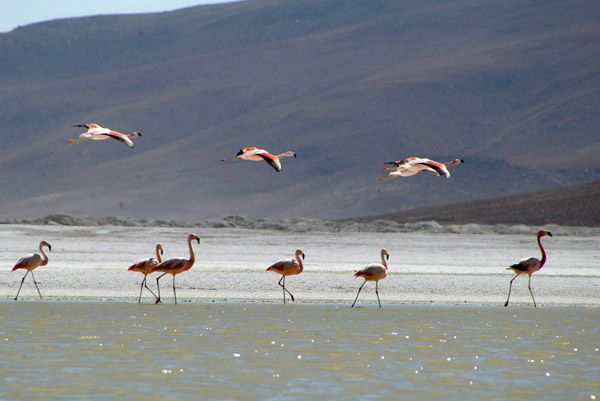 Nevertheless this land of extremes supports a diverse range of animal life, including llamas, vicuñas, alpacas, vizcachas, the Andean condor, and large groups of flamingos, which favor wind-exposed salt lakes of the Altiplano as breeding grounds. Very few humans live here; most are Aymara and Quechua Indians with their distinct languages and cultures inhabiting scattered villages that still remember past glories of the great Inca Empire. During this trip we visit places at very high altitudes up to 5.000m (16,400ft) above sea level. As we start our trip in Iquique at sea level we need to climb 5km (3.1 miles) up! The only way to enjoy trip to such heights and avoid altitude sickness is to acclimatize slowly. Therefore minimal length of the trip is five days. 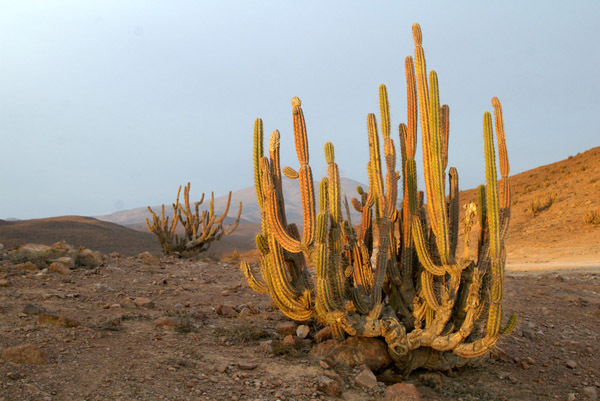 First two to three days we spend on medium altitudes of 2.000m to 3.000m (6,500ft to 9,800ft) visiting ancient villages and natural attractions in the Atacama Desert and mountains of Andean Precordillera allowing our bodies to acclimatize to high altitudes. 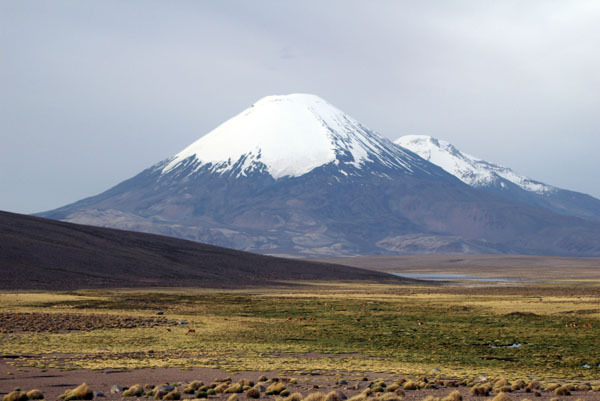 Then we move to the main highlight of the trip - Altiplano with an average altitude of 4.600m (15,100ft) where daily temperature amplitudes often exceed 30 degrees Celsius (54°F). 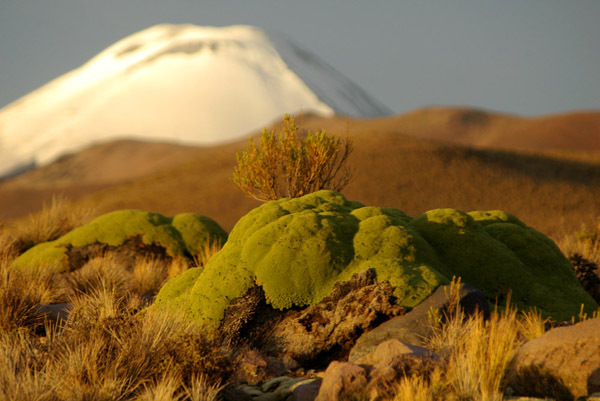 Trekking at high altitudes of Altiplano is more strenuous than normal but offers great rewards. We will trek to a volcanic island on white expanses of Salar Coipasa located in a bowl of sky reaching volcanoes of Tata Sabaya, Cabaray, Isluga and Coipasa. 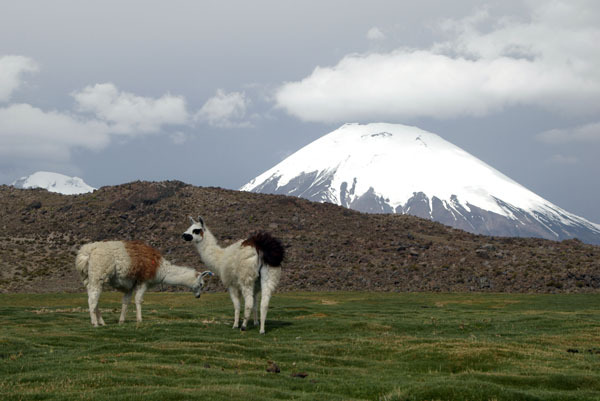 Well acclimatized trekkers can test their lungs ascending slopes of active Guallatiri volcano from where one can enjoy the best panoramic views of plains, lakes, and mountains of Altiplano. Every night of the trip we will camp at an interesting area with extra time in the evenings and mornings allotted for exploration of the surroundings. The first night is spent camping on a rim of the upper reaches of a deep desert canyon of Quebrada Camarones where you can sleep outside looking straight into millions of stars. Atacama Desert is famous for its clear skies and we carry with us a laptop computer with astronomical software to help us locate celestial objects. Another night we spent camping at natural hot springs of Termas Polloquere at Salar Surire where watching the sun rising above volcanoes of high Andes while taking a hot bath is a truly remarkable experience. Humberstone - A ghost town and museum declared UNESCO World Heritage Site. It was founded the end of 19th century around a center of saltpeter mining industry. 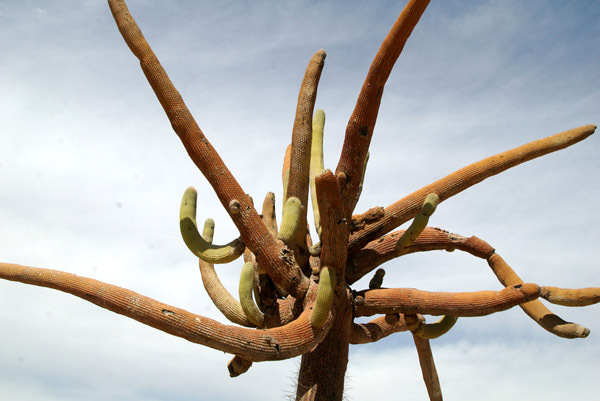 Here in the remote desert thousands of pampino workers lived processing the largest deposit of saltpeter in the world and producing the fertilizer used across the world. Pampa del Tamarugal - Vast desert plateau where the only plants you can see are endemic Tamarugo trees (Prosopis tamarugo) which survive on highly saline soil without any rain. Tiliviche geoglyphs - Southern slopes of Tiliviche canyon are covered in more than 100 giant figures of camelids and humans. Made by local tribes between 1000 and 1400 A.D. by scraping ground surface and stacking round stones. Because of its shear size they are best viewed from the opposite rim of the canyon. Caleta Camarones - Beautiful deserted beach located at the mouth of spectacular canyon. The beach is surrounded by steep 1000m high cliffs. Perfect place for a picnic or an overnight camping. Frequented by sea lions and Humbolt penguins. Codpa - Prehispanic oasis located in canyon of upper Vitor river. 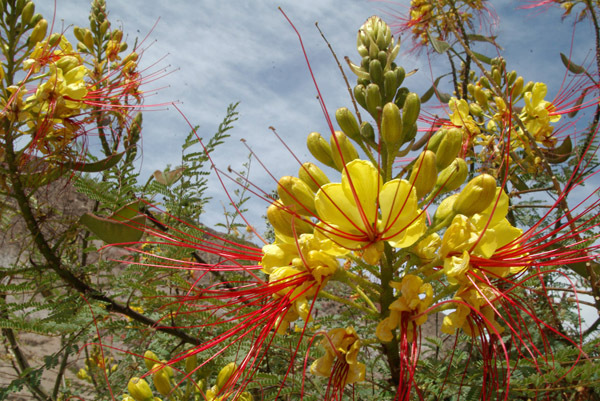 Even today it is an important center of desert agriculture. Famous Pintatani wine comes from here and it has been used by Spanish conquistadors during christianization of South America. You can visit in Codpa one of the oldest churches in Chile. Ticnamar Viejo - Old town from the 17th century destroyed when a river flooded the area. We will visit abandoned church and houses. Belen - The only village of Altiplano founded by Spanish in 17th century on an important trade route from Potosi in Bolivia. At the middle of the square there is an adobe church build in 18th century with a wooden altar. 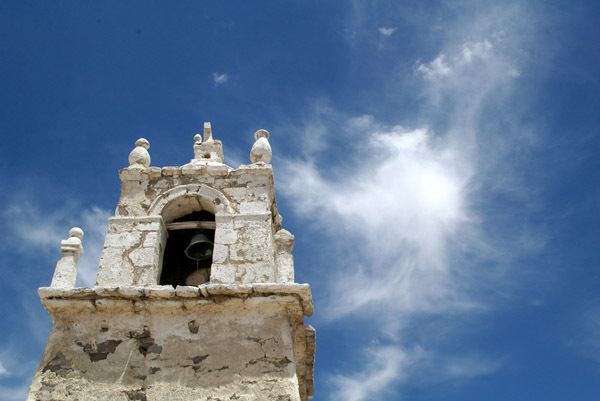 Its bell tower stands separate from the church and has three still operating bronze bells. The Belen area is famous for its oregano fields. 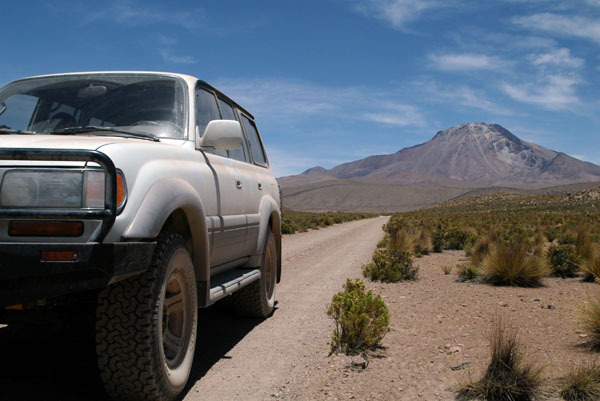 Portezuelo de Chapiquina - The mountain pass serving as gates to Altiplano. 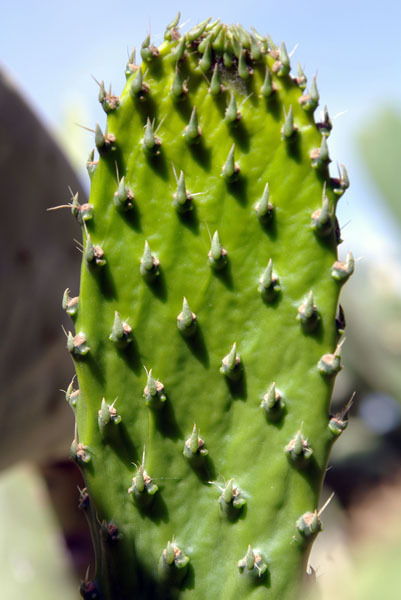 It divides mountain chain of Precordillera and the high plateau of Altiplano. The views are spectacular. 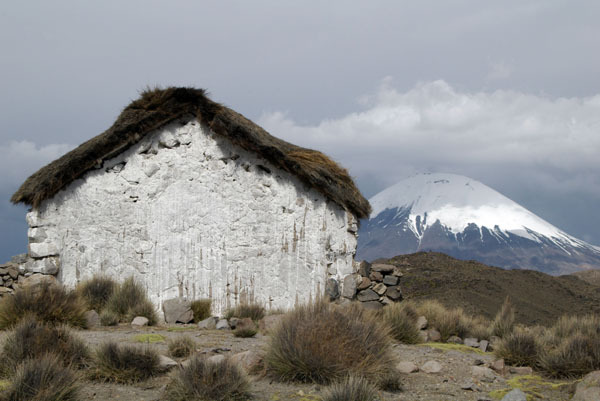 Guallatire - Village of pre-Columbian origin of houses built in white adobe and grass roofs. 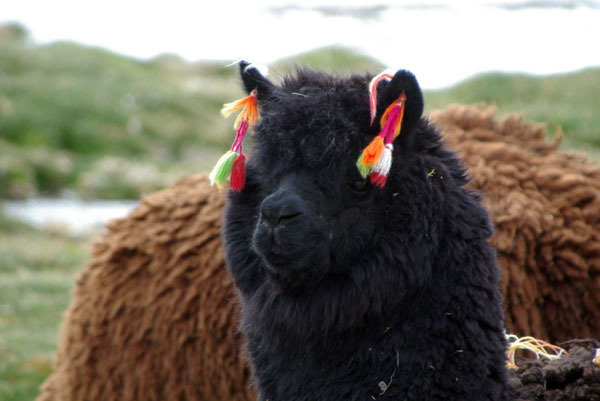 Populated by Aymara Indians herding llamas, alpacas and sheep on the surrounding mountain marshlands (bofedales). In the middle of the village, facing the Guallatire volcano there is an old adobe church from 17th century with a traditional Altiplanic style tower. Salar Surire - Highlight of the trip. It is an area designated as a World Biosphere Reserve by UNESCO. Consists of salt flats and salt lakes at altitude 4,200m reach in wildlife and surrounded by volcanoes. 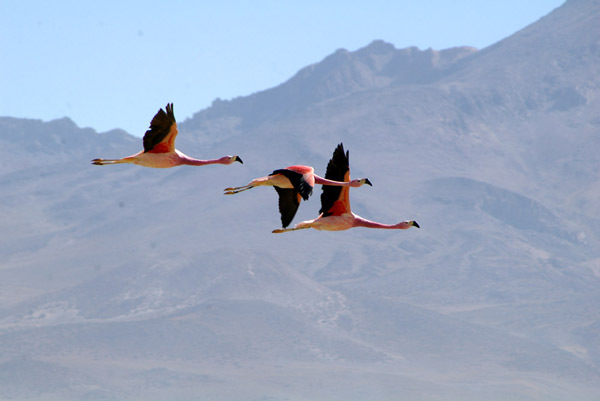 Three species of flamingos permanently reside here, large herds of vicunas usually graze at surrounding bofedales, and shy running nandu birds can be often spotted on adjacent pampas. 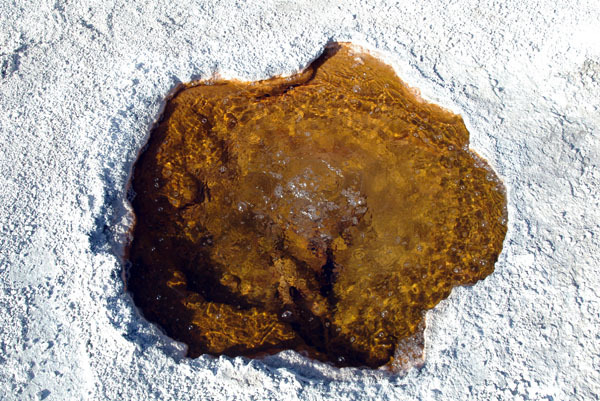 There are picturesque natural hot springs in the eastern part of the salar. 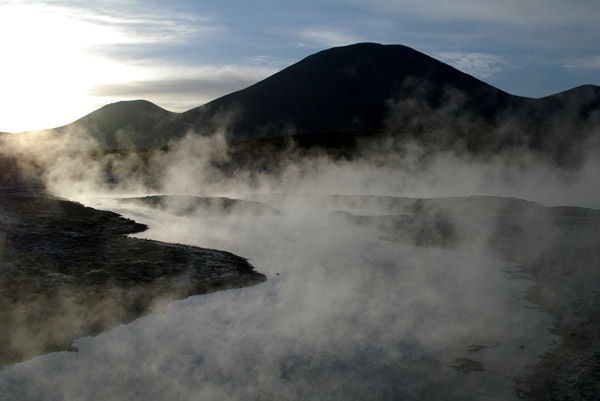 Termas Polloquere - Hot springs located at Salar Surire. Hot water creates here multiple pools and streams of various temperatures up to 66°C. A perfect place for a relaxing hot bath with volcanic views. 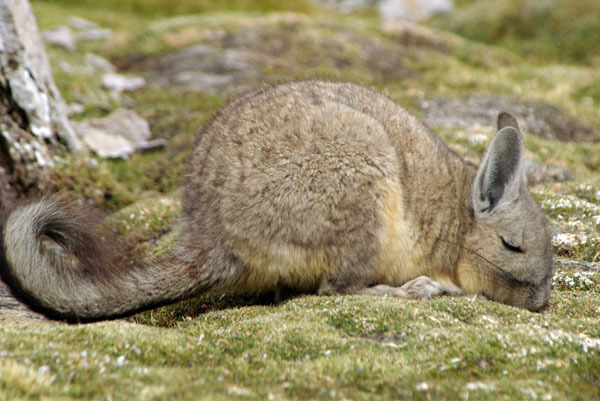 We leave from port town of Iquique to Altiplano every three weeks in the season. Price of the trip vary depending on selected itinerary and length of the trip. 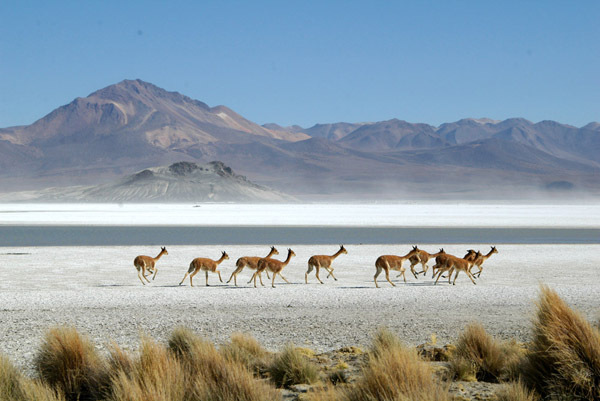 Example five days Altiplano trip starts as low as $850 per person. • Your favorite snacks, music, etc. Remember, this is an active adventure trip therefore participants are expected to take active part in daily activities of preparing meals and setting up a camp.